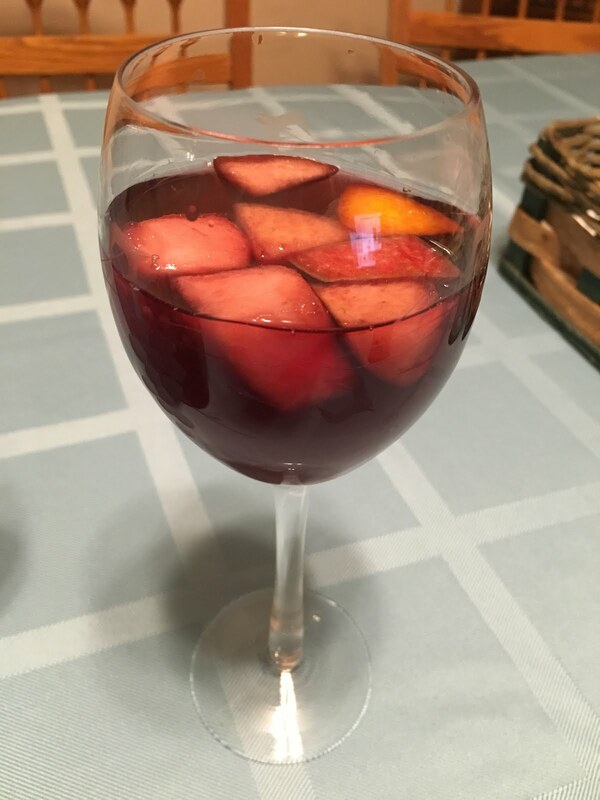 Sangria is a refreshing summer drink that I usually make when we have summer get togethers. I've scanned various recipes and some have lengthy lists of ingredients, but in the end I go back to my easy version that you can add to based on your guests' tastes. 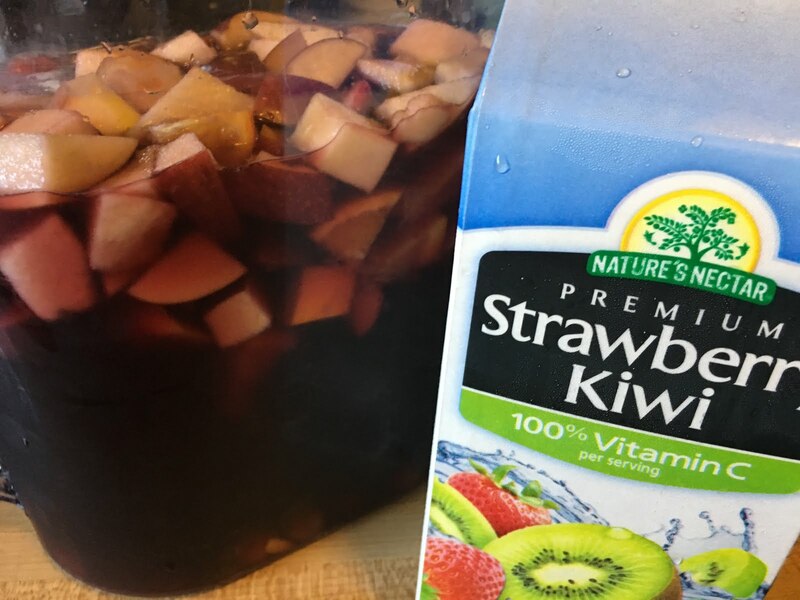 First cut up all your fruit and put in the bottom of the pitcher. Use a large spoon to press on the fruit lightly (without smashing it to bits) to release some of the juices. Add wine. Add lemonade. Add juice and stir.